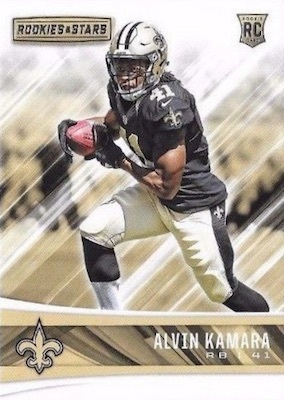 Up-and-coming players and established veterans join forces for 2017 Panini Rookies & Stars Football. Each hobby box averages a pair of autographs and memorabilia cards. 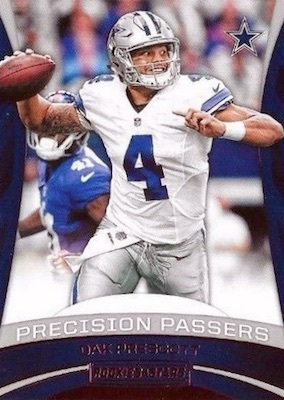 Making the transition from the retail-only circuit in 2016, the 2017 Panini Rookies and Stars Football hobby format is geared to the case breakers as a Cyber Monday exclusive with low production. 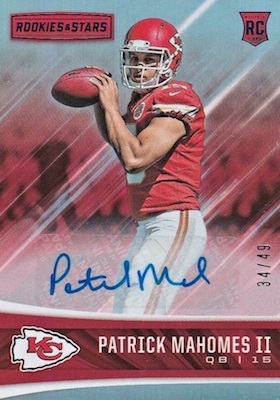 Meanwhile, the retail format is exclusive to Target, averaging one autograph and two relics per Longevity box. 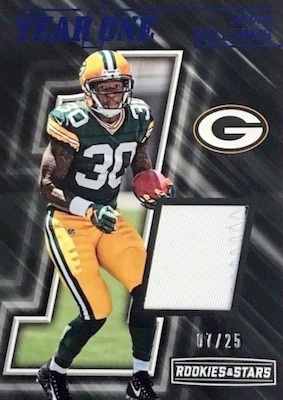 In addition to a 300-card base set and several parallels, the 2017 Panini Rookies & Stars Football checklist features inserts at around two per pack. 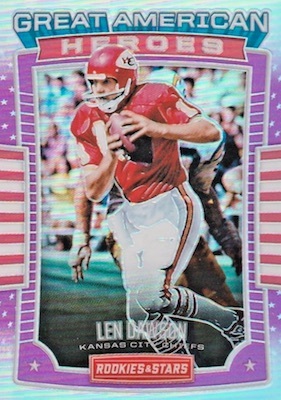 Options consist of the legendary Crusade line, as well as Great American Heroes and Stellar Rookies. 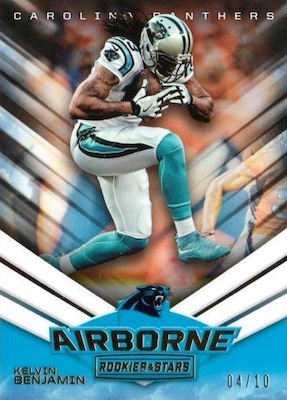 In addition, Airborne, Precision Passers, Prowlers and Rookie Rush inserts all debut this year. 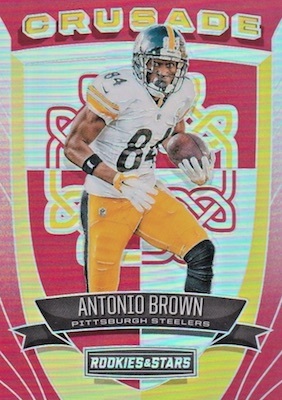 Hobby-exclusive parallels include Red & Blue (#/25), Black & Blue (#/5) and Gold Prizm (#/10), and there should be five numbered cards in each box, including two that utilize the Prizm technology. 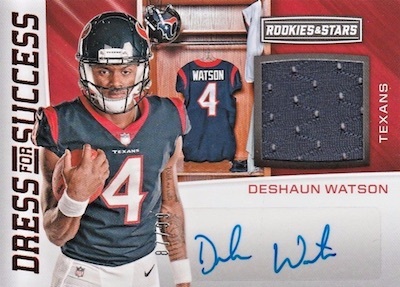 With an average of four hits per hobby box, 2017 Panini Rookies & Stars Football offers several signed sets and memorabilia inserts to pursue. 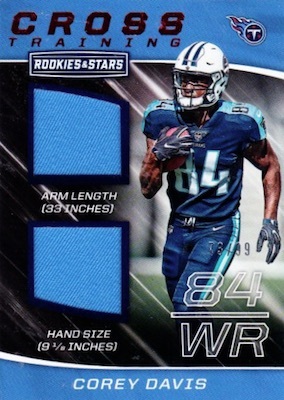 Displaying an autograph and relic for young stars, Dress for Success is only in the hobby format, adding Prime and Laundry Tag parallels. 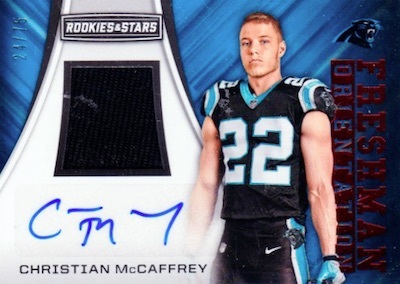 Rookies Longevity Signatures highlights the first-year players. 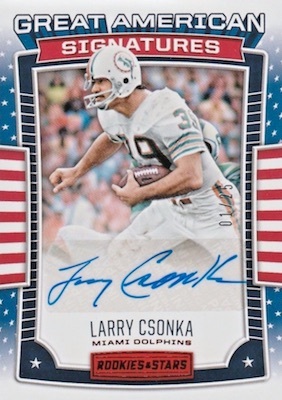 Casting a wider net is Great American Signatures, which works with a patriotic theme and a roster of all-time players. 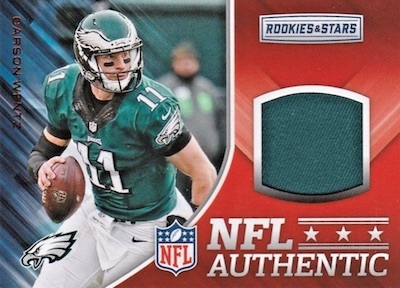 Relic choices consist of Great American Treasures, NFL Authentic, Year One and the hobby-only Prime Cuts. 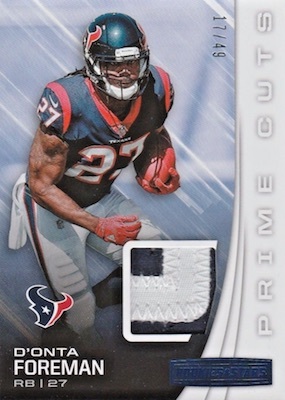 More limited versions include Prime and Premium parallels. 2017 Panini Rookies & Stars Great American Heroes USA AUTOGRAPH CALVIN JOHNSON! PARALLEL CARDS: Green (Fat Pack), Purple (Hanger), Red (Blaster), Longevity #/70 (Longevity), True Blue #/49, Red and Blue #/25 (Hobby), Gold #/10, Black and Blue #/5 (Hobby), Platinum 1/1, Printing Plates 1/1 (No Rookies). 85 cards. Shop on eBay. 97 cards. Serial numbered #/49. Shop on eBay. 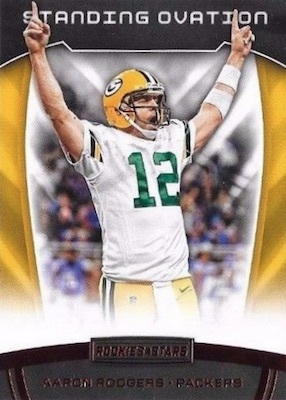 PARALLEL CARDS: Purple #/25, Gold #/10, Green #/5, Platinum 1/1, Printing Plates 1/1. 40 cards. 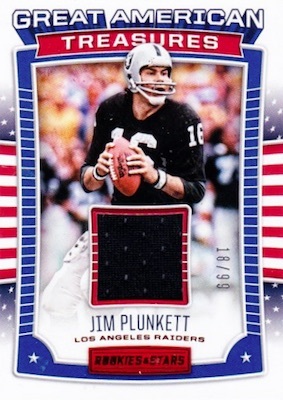 Serial numbered #/75. Longevity Target box only. Shop on eBay. 40 cards. Serial numbered #/99. Longevity Target box only. PARALLEL CARDS: Red #/99, Purple #/49, Orange #/25 (Longevity), Gold #/10 (Hobby), Green #/5, Black 1/1, Printing Plates 1/1. 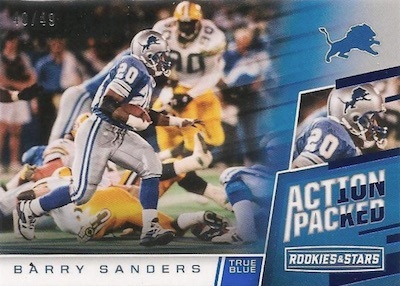 PARALLEL CARDS: Blue #/10 (Warner, Moss, Calvin Johnson, Namath, Favre, Sanders - #/5*), Platinum 1/1. 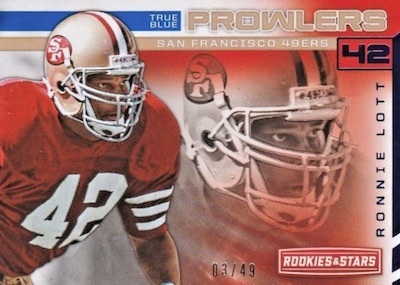 PARALLEL CARDS: Prime #/49, Premium 1/1. 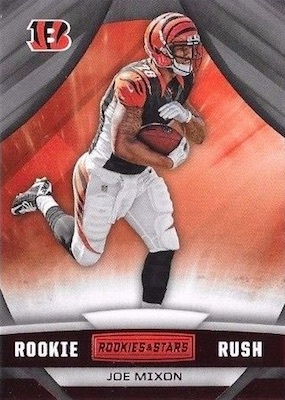 So this product will be Hobby only or will there be retail packs at Target Walmart etc? David: The wording of the solicitation and the fact that some things are marked as hobby exclusives seems to indicate there will be a retail version. However, nothing is confirmed. Six 1/1s in the first case break on Keep It Real Breaks! Three more cases to fill… wow, what a loaded product. 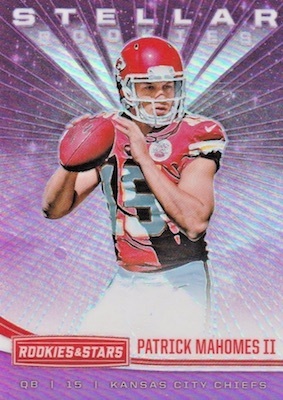 2017 Panini Contenders & Rookies & Stars Football Blaster Boxes Mahomes?